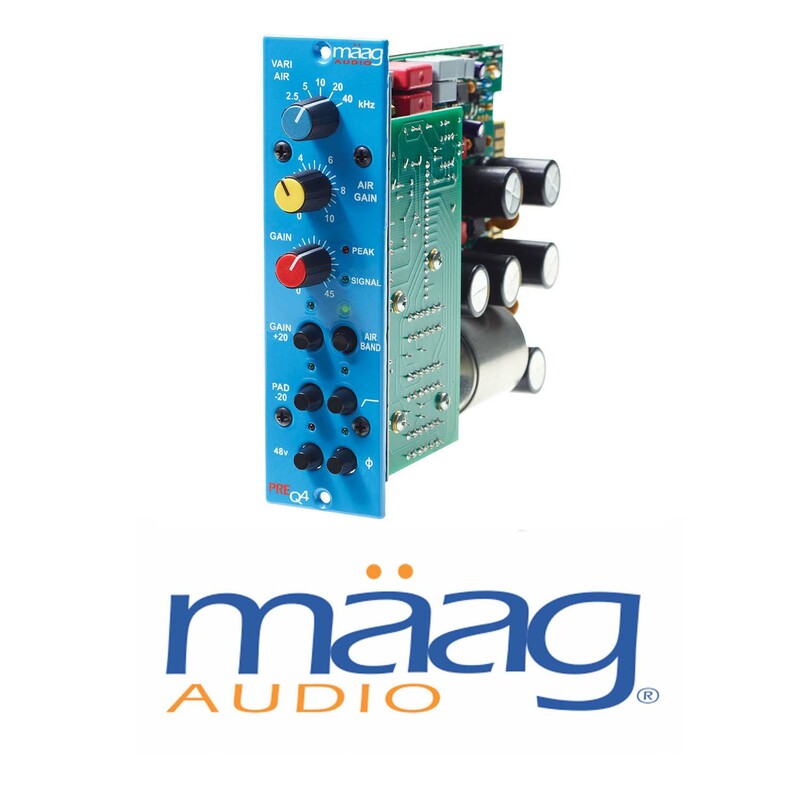 The PREQ4 mic pre from Maag Audio gives 500 Series users a pristine, transparent signal path through which they endowed with the Air Band control. What does that do for you? It gives a shelf boost variable from 2.5kHz to 40kHz, perfect for dialing in the right amount of presence for anything you’re tracking. Acoustic guitars and vocals shine through the PREQ4, and with 65dB of gain available, ribbon mics are an easy fit into any session, with the PREQ4. But the PREQ4 also performs admirably on other sources, too. The PREQ4 is a fantastic addition to the 500 Series VPR Alliance.